I may have purchased my fabric in November, but it wasn’t until May when I finally started work on the dress. I have a myriad of reasons (excuses) why I didn’t begin sooner. Too busy teaching school; lose a little more weight; doing research. They were all a little bit true. But in fact, I was terrified to get started. What if I did something wrong? What if it looked horrible? What if I had to drive all the way back to Miami and they didn’t have anymore lace? Finally, I got to work. Normally, when I cut out a pattern, I layer fabrics that are multiples of the same piece. I would cut out the lining and the outer fabric in one go. It saves time. There was no way I was going to layer the fabrics for this job. 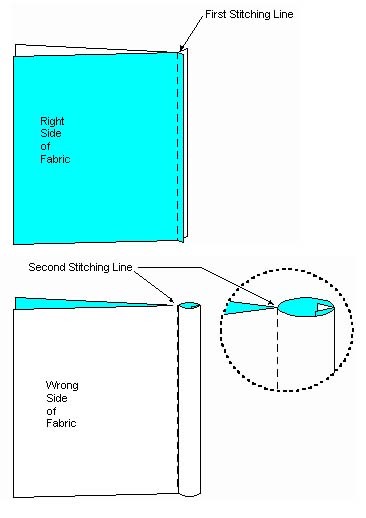 Each fabric would be cut separately, beginning with the least expensive fabric. I figured a little practice wouldn’t hurt before cutting into that marvelous lace. I wish I had taken more photos of this process. However, my full concentration was required to make certain every piece was facing the correct direction and I cut the right number of said pieces. Never has cutting out a pattern been so stressful! For as long as I can remember, I have wanted to make my own wedding dress. Over the years, my idea of the ideal wedding dress has changed dramatically from a simple shift to the grand puffy Cinderella style gown and back again. At one point, I had even purchased a pattern. I’m sure it was 99¢. I wanted it shiny and silky, then muted and taffeta. I swore up and down it would never be lace! The only detail that remained the same were the sleeves. There was never a plan to have sleeves. I remained steadfast that it would be sleeveless with a neckline that went straight across. No sweetheart necklines for this girl! We had a fairly long engagement, so I had much time to ponder just exactly how I wanted to make this dress. I spent hours scouring the internet for inspiration. I finally settled on 3 similar designs. One was made with eyelet lace. The other was made with Alencon lace (which I later learned is very, very expensive). The third seersucker. The debate between these three dresses was decided when other details about the wedding were settled. I didn’t want to make a simple dress and have an elaborate wedding. I didn’t want an elaborate dress and a picnic wedding. 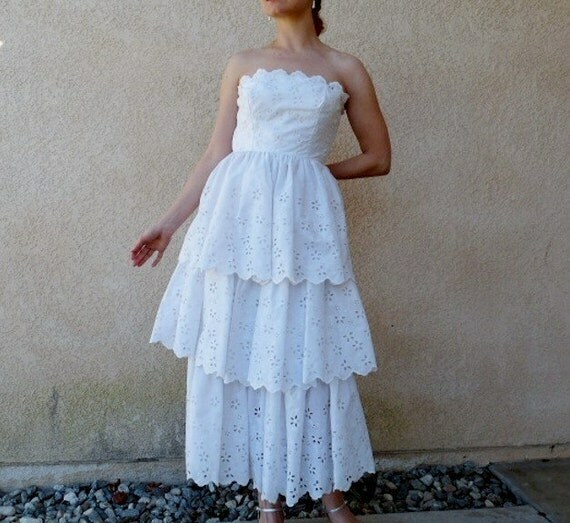 When I finally settled on a sort of vintage/homemade vibe for the wedding, I solidified my dress decision and bought the fabric. Full on lace covered dress here I come. Even then, it wasn’t until I bought the fabric that I was sure this was the right idea. Option 2 – The winner! 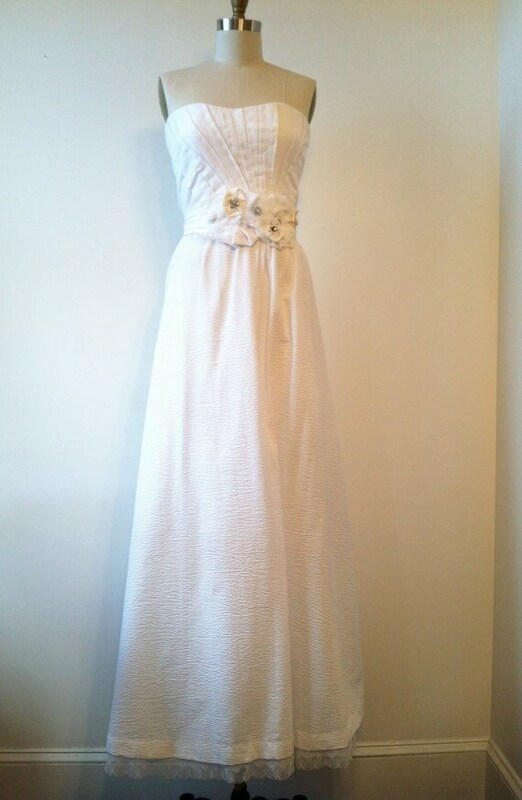 My inspiration came from an Alice Padrul wedding dress called the Adele. 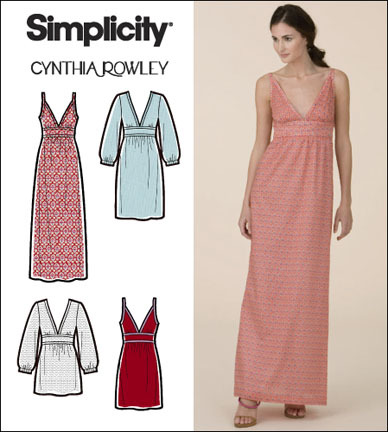 Which, I discovered has a little sister pattern made by Butterick. They aren’t exact, but I didn’t need exact, I just needed a base to start my dress. No ordinary fabric could be used to make this dress, this required a special trip to a fabric district. I wasn’t so crazy to demand to fly out to New York City or Los Angles (I did consider it. ); I headed to Miami. This was the closest place I could find. I couldn’t fathom ordering such important material online. I needed to touch it and see it in person. I found the perfect fabrics at Carol Fabrics Inc. (sorry, no website). The service there was superb. The lady (whom I believe was Carol), was very patient and kind. She offered suggestions, but ultimately left the decision up to me. (This was not the case at all the shops I visited that day.) I intended to find the fancy Alencon lace, but wasn’t able to find Ivory. I found a much less expensive lace that had caught my eye when I entered the shop. I would have saved much time if I had just gone with my gut in the first place. I promise, these wedding dress posts get more exciting. We bought a new house recently (ok, like 6 months ago, is that still recently?) and we have been slowly organising and reorganising. We are also doing some decorating as we go. The entire process is going slowly as we both have very busy schedules. During one of my recent long weekends, I decided to start unpacking all of the sewing and craft supplies. About halfway through unpacking, inspiration hit and I finally decided how I wanted to paint my room! I had known I wanted to paint it pink, I just couldn’t settle on which shade. Too pale and it would look white or like a little girl’s room. I was also concerned that if I went too bright, it would be distracting rather than inspirational. I finally decided I needed a bright pink with a bright white. I chose First Kiss as my pink (I tried to include a color sample, but the site wouldn’t let me). I couldn’t be more excited about how it turned out. Every time I walk past or into the room I get a huge grin just looking at the walls. Reorganising back into the room went quickly. I still have a few projects in mind for new furniture. I also have plans for artwork for the walls. Including a huge bulletin board (maybe). I will also be getting a closet organiser and will be painting the closet the matching pink. I have even had to opportunity to complete a few projects in the newly painted room.